Use our Free Will Service today and help the next generation of blind & poor sighted people. 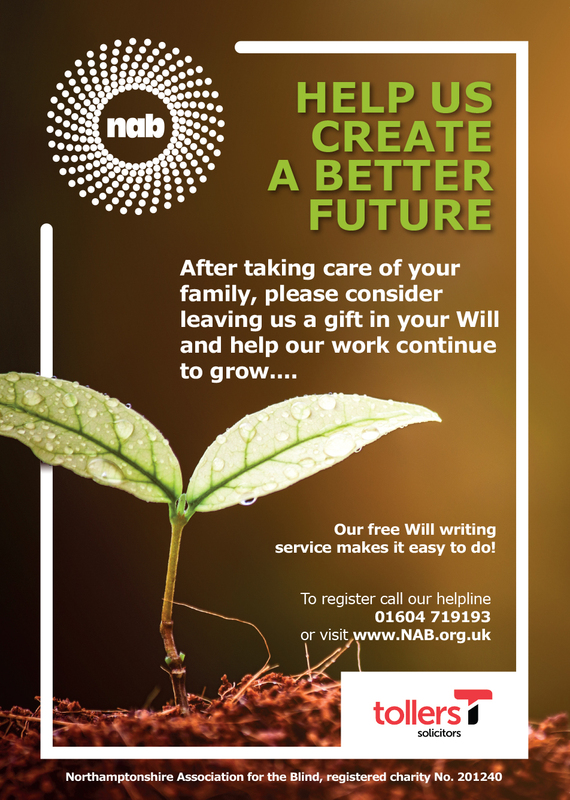 Writing a Will is one of the most important things any of us can do. All we are asking is that people think about including a charity like NAB in their Will after they’ve taken care of loved ones. Just imagine the difference that could make to the work Northamptonshire Association for the Blind does! Every gift helps, every little bit makes a difference. If just 4% more of the population included a charity in their Will, it would generate an additional £1 billion for charities in the UK every year.